Linda Torczon and her colleague Keith Cooper are co-instructors for COMP 412: Compiler Construction for Undergraduates. COMP 412 covers topics in the design of programming language translators, including parsing, run-time storage management, error recovery, code generation and optimization. Drs. Torczon and Cooper co-authored Engineering a Compiler, which is currently in its second edition. Engineering a Compiler is intended as a textbook for a senior-level course in compiler construction, as well as a reference for professionals. 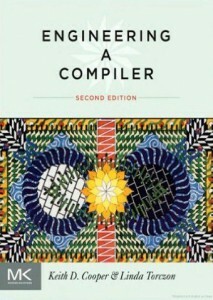 Engineering a Compiler is used in COMP 412. Dr. Torczon served as an Adjunct Lecturer in Computer Science from 2013 to 2017.